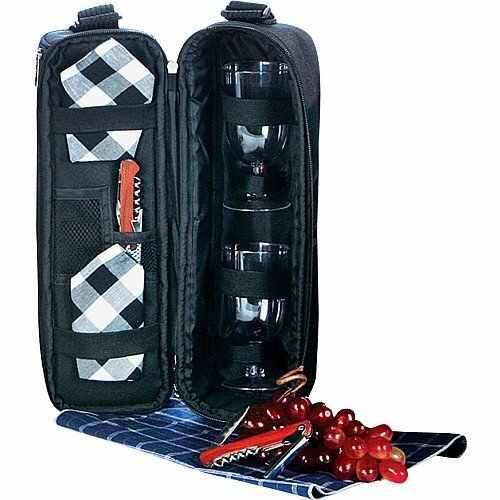 This wine duffel from Picnic Plus is fully insulated, promising to keep your chilled beverages at their optimal temperature. Included are 2 acrylic goblets, 2 napkins and a multi-function corkscrew/bottle opener/knife. The adjustable shoulder straps make this duffel easy and comfortable to carry. If you have any questions about this product by Picnic Plus, contact us by completing and submitting the form below. If you are looking for a specif part number, please include it with your message.